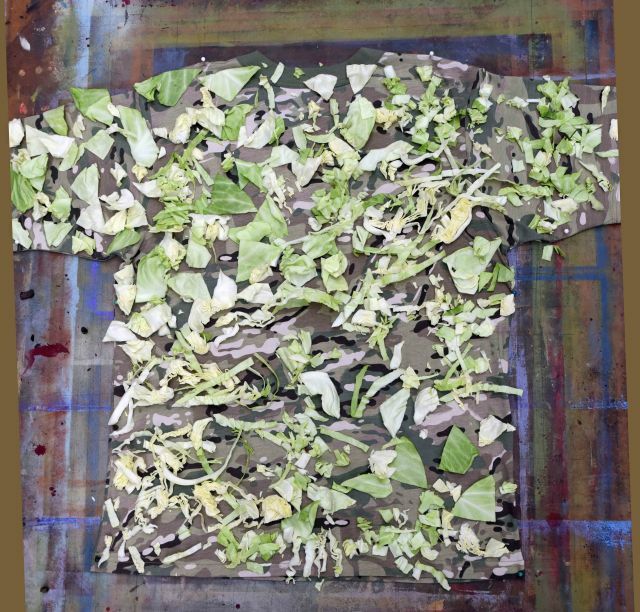 The centuries-proven application of three-dimensional concealment principles allows a working compromise between high visibility for hunter safety and reduction of the human head silhouette and outline for decreased focal ability and object discernment of big game animals. Choose different textures, as you are restricted by the blaze orange compliance. 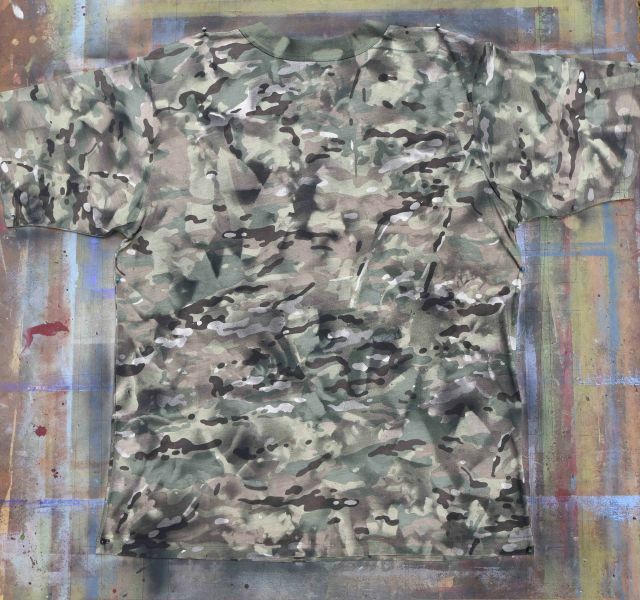 Cut any fleece, polyester mesh, broadcloth about 1 inch wide. This way, should a game warden stop you and question the require square-inch coverage requirement, you can reasonably show or measure the proper coverage. 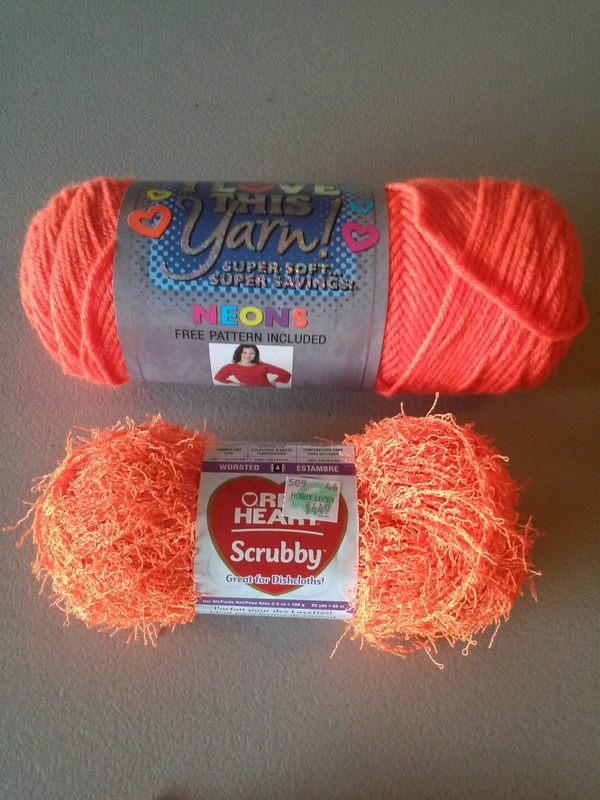 For the other materials, specifically the stranded varieties, any of the fashion yarns like the Red Heart Scrubby (pictured above) or eyelash yarn provide dramatic texture variations. Regular yarn and paracord can also be used. 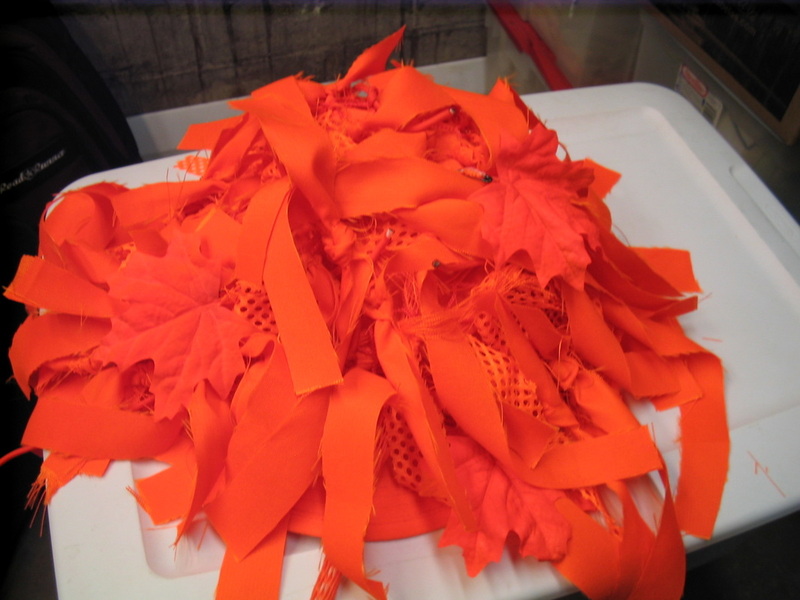 Tie the material to an 18" x 24" or 24" x 24" piece of orange netting. 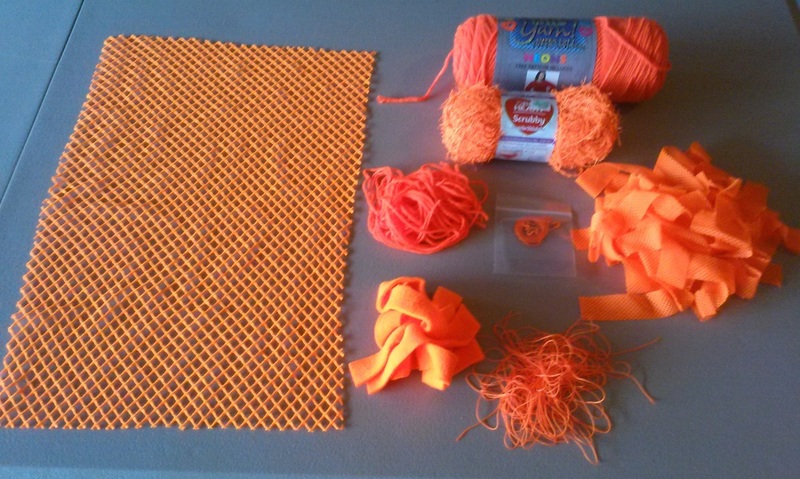 If you can't find orange netting, you can buy white netting and dye it orange. 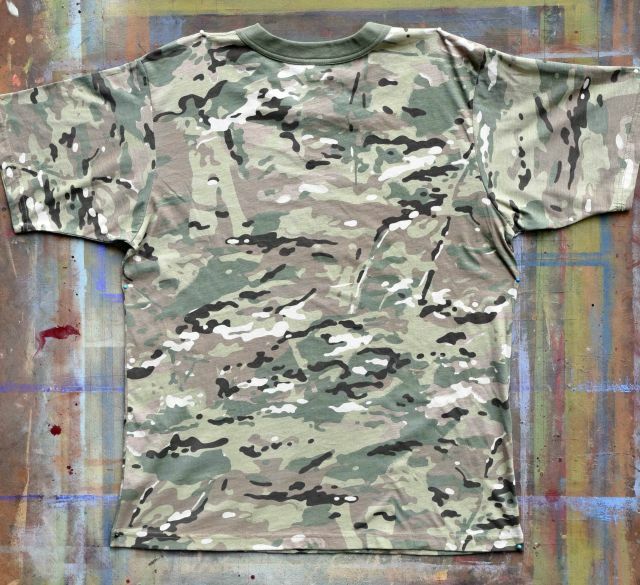 RIT dye in the Tangerine color will come the closest, without having to mix different dye colors. Tie or safety pin the netting to the desired hat, making sure your vision is not obscured. 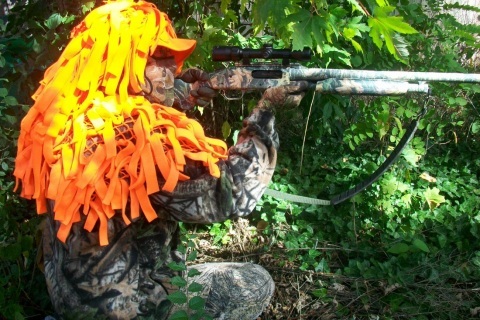 I recommend that you treat your blaze orange ghillie with a UV blocker like Atsko's UV-Killer. 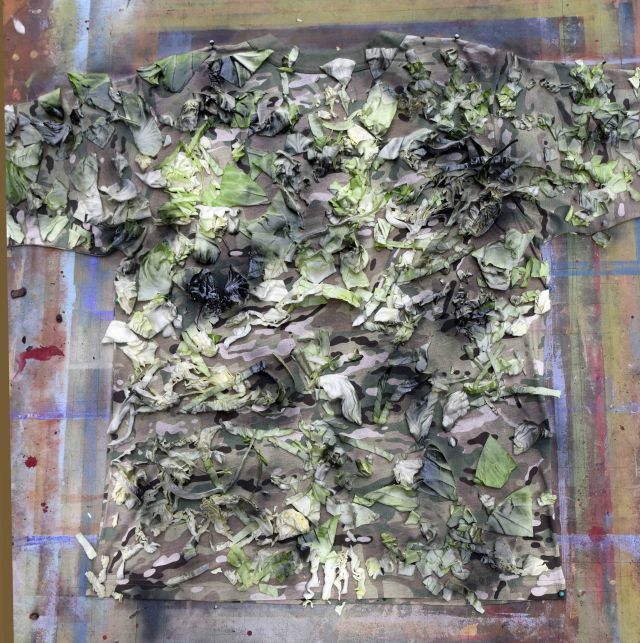 You can also make similar ghillie panels to attach to an outer garment or safety vest. Photos owned and provided by David Clode.